Step into my time-travel machine for a short journey back to the early summer of 1997. Bill Clinton is six months into his second term, Tony Blair has just become prime minister in Britain. Princess Diana is eyeing up an unsuitable lover. Apple is dying without Steve Jobs as CEO. Broadband is something people wear around their heads while playing tennis. All so long ago, a time before time. On June 30 that year, a book was published that blew apart one of the iron rules of publishing. Children's books, a literary agent assured me around this time, when I submitted a proposal, did not sell. Kids had ceased reading, full stop. Only a television tie-in could make chain stores stock a children's book, and even that was unlikely. Twelve London publishers turned down "Harry Potter and the Philosopher's Stone" before an independent, Bloomsbury, offered J.K. Rowling's agent, Christopher Little, a paltry advance of £2,500. The original edition appeared on June 30, 1997, in a run of 500 copies, most of which went to public libraries. That's how few children were expected to read. Sales were sluggish until two awards—one from a confectionery brand, the other an industry award as Children's Book of the Year—put "Harry Potter" into reprint. 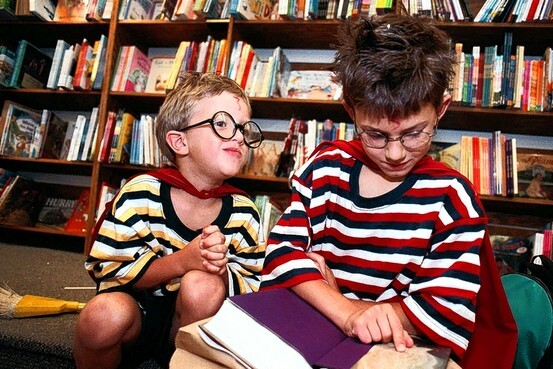 An American publisher, Scholastic, pitched in with $105,000—a record advance for a children's book—and amended the title to "Harry Potter and the Sorcerer's Stone" when it brought it out in August 1998, by which time a second volume was out in the U.K. It is difficult to date exactly when, in the following months, Harry Potter went "viral." My family experience traces the phenomenon to the school library. Our youngest daughter brought home a copy around year four, when she was 9. Her elder sisters commandeered it and insisted that the parents read as well. What Ms. Rowling achieved—long before Warner Bros. adapted her work into films, the last of which will be released next week—was a children-led read-in that crossed all age barriers, uniting families in a primal fireside act of sharing an unfolding story, page by page. By the time the third volume was delivered to stores, in July 1999 in the U.K. and two months later in the United States, publication was a news-leading event, timed for midnight, with teams of journalists speed-reading until dawn to provide reviews for the final edition. On trains, in airport lounges, in parks and on beaches, everywhere one went, everybody seemed to be reading Harry Potter. The seventh and final volume, "Harry Potter and the Deathly Hallows," published on July 21, 2007, was the fastest-selling book on record, moving 11 million copies in 24 hours, according to an estimate by the BBC. (The second-best-selling novel of that year, Khaled Hosseini's "A Thousand Splendid Suns," made headlines for selling a million copies in a week.) In all, Ms. Rowling is believed to have sold more than 450 million books. Her cycle has been published in 67 languages, more than any printed book apart from the Bible. Read it all here - a must-read! On Sundays, CakeWrecks shows marvelous cake decorating. Today's is all about Harry Potter. The workmanship is fantastic.